Designed to fit into a particular alcove or space our wardrobes can be freestanding or fitted. Freestanding furniture is designed to be disassembled to accommodate narrow doorways or staircases. 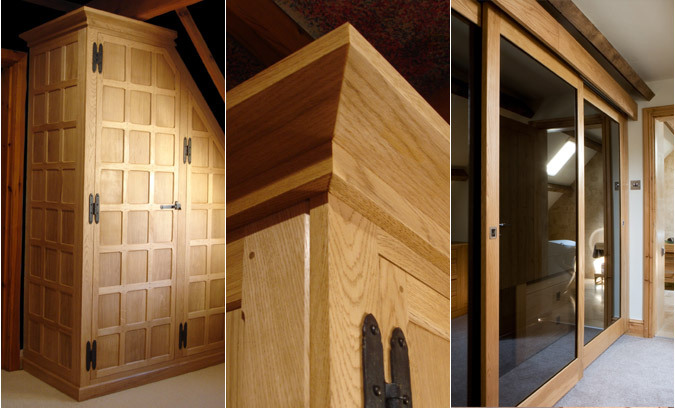 Attention to detail is particularly important with bespoke wardrobes. Where possible our bespoke wardrobes are deeper than is standard to allow suits and dresses to hang freely without interfering with the doors of the wardrobe and without being crushed.